Renaissance - A deep mood in the intro turns out to a melodic break and then back to full energy with a great lead. Arctic quest pulls out some awesome synth sounds to create that deep atmosphere with the pad, riff synths with delay and an awesome lead showing the way to euphoric trance. Last but not least the nicely arranged drum loops along with nice combinations of different bass lines, offbeat and more complicated. 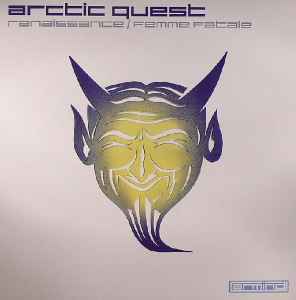 Femme fatale - Follower of massive Renaissance, Femme fatale with Arctic quest's brilliant sound. Geniously produced creates an atmosphere not for a top dancefloor track but a set starter.